industrial processes is becoming increasingly more important. EE371 series with a measuring range -80…60°C Td (-112…140°F Td) and EE372 series with a measuring range -40…60°C Td (-40…140°F) are the ideal solution for such applications. 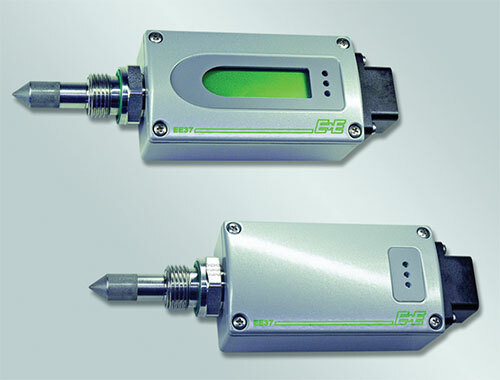 The core of the transmitter is the monolithic measurement cell type HMC01, developed by E+E Elektronik in thin-film technology. device and years of experience in low humidity adjustment make an accuracy of <2°C Td (±3.6°F Td) possible. and the numerous options allow easy mounting and many application possibilities.